Kay: Get Rid of Distractions—with Science! Many writers have trouble sitting down to write, or if they do sit down, they can’t produce anything. They’re distracted by Facebook or online news or games. Some writers are too stressed by work, school, or family obligations even to sit down. These problems are real and difficult to overcome. Rosanne Bane researches the resistance writers can have in getting down to work, from procrastination to perfectionism and everything in between. She uses findings from neuroscience to explain these issues and offers science-backed fixes to common problems for writers. Fantastic, right? One of her recent articles urged writers to respect their resistance to writing. She explains it by first describing a psychiatric event. In 1906, Aimee (not her real name) was under the care of Dr. Edouard Claparède. She had a brain injury that made it impossible to form new memories. Every time Dr. Claparède saw Aimee, he had to re-introduce himself to her. One day Claparède put a pin between the fingers of his right hand, so that when he introduced himself and shook hands with Aimee, she received a little stab in the palm of her hand. The next time they had an appointment, Aimee didn’t remember him or the incident, but she refused to shake hands, although she had never refused to do so before and couldn’t explain why she was unwilling now. And here’s the science. We have (at least) two memory systems: one that’s available to conscious recollection, and one that we don’t have conscious access to. We don’t need a logical reason or conscious awareness of a threat to trigger the limbic brain and feel resistant. That’s the beauty of resistance. We can protect ourselves from threats we’re not consciously aware of. That’s what Aimee was doing. When we see that we’re distracting ourselves with other activities, we don’t have to know why we’re doing it—we just have to recognize that we’re doing it so we can recognize what might trigger distraction. Recall what you were doing before you followed a distraction. Are you resisting a particular writing project? Are you more susceptible to distractions at a particular time of day? Do certain people or situations lead you into distraction? Examine what distracts you. Electronic pasttimes? Household tasks? Outdoor activities? Friends or family? At what times are you most likely to get distracted? What about if you’re hungry or tired? 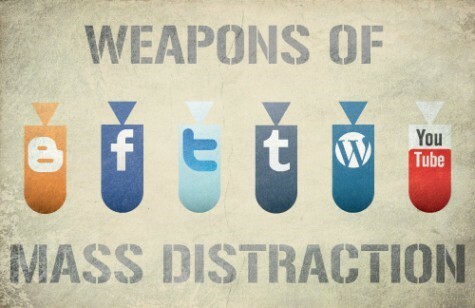 Knowing what distracts you doesn’t mean you can never do the laundry or use your phone again. But you need to examine how you spend your time. Is the activity you’re doing right now a distraction? Or an intended task? Had you meant to write, but ended up picking up the kids’ toys? The problem is that distraction can make us feel good about not writing. Unlike writer’s block, where we beat ourselves up about not writing, a distraction gives us something pleasant to do (at least more pleasant than trying to write). Electronic distractions also give us a shot of dopamine every time we get new input, which is why social media, games, and apps are so addictive. What is this resistance telling me? What’s missing (time, support, information)? What small step can I take to move forward? When you know the answers to those questions, your resistance to writing is likely to decrease. Would Banes’s suggestions work for you? I think they’d work for me. I’m trying them! This entry was posted in writing career and tagged Kay Keppler, writing process. Bookmark the permalink. I think Bane’s suggestions would work for me – or at least, I’m going to give them a try. I know I often resist for a reason. I open the post, or head off to the kitchen and start preparing dinner, or embroil myself in some other displacement activity when my hindbrain doesn’t like the way my story is going or is stuck and doesn’t know where to go next. This might help me to figure out how to address the problem instead of avoiding it 🙂 . This is great timing, Kay! I’m not sure why I resist writing, because I enjoy it so much when it goes well (which is a lot of the time — maybe not being “publishable” but it can still be fun even when it’s not the greatest prose in the world). When I’m stressed or tired, I believe that I need a treat. And too often, that treat is a little internet to soothe my mind. Chocolate sometimes provides a workable alternative, in that I can type and eat chocolate at the same time. But sometimes, it turns into a production (Must Be Brownies, or constantly heading back to the candy jar for “just one more” instead of sitting and typing). Woke up at five this morning, couldn’t get back to sleep, spent all my freetime in the morning on the internet. I’m going to try and do better and get some sleep over the weekend.